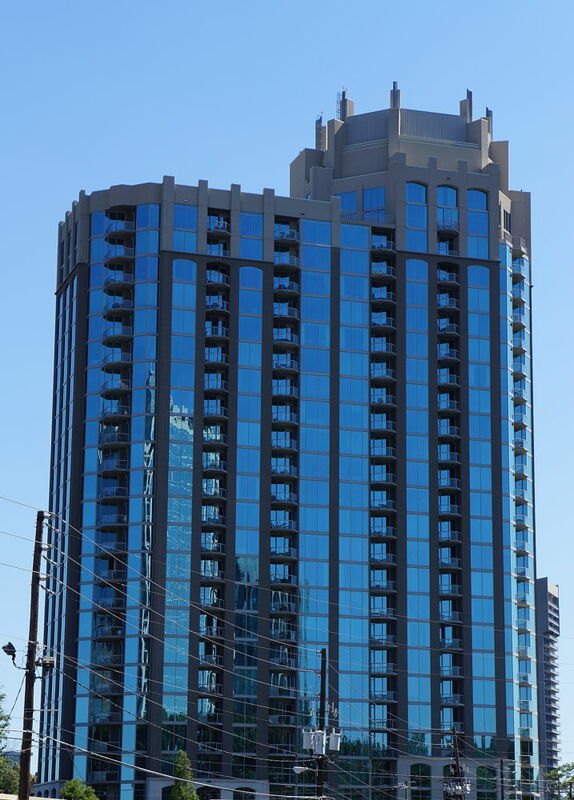 Gallery Residences is a high-rise luxury condominium located in central Buckhead. Built in 2007, the 27-story building blends contemporary and classic styles and includes 203 units. Naturally, the condo includes the typical amenities, such as fitness facility, swimming pool, business center and conference rooms. But what makes Gallery stand out is its technology. Each condo unit is wired for audio/video including IPTV and iPod docking stations. The units are also wired for data and voice; ultra-high speed internet and VOIP phone service. Other amenities that make Gallery a step above many other buildings include its own tennis court, outdoor dog-walk area, and 24-hour concierge service.